Principal Cast : Ryan O’Neal, Marisa Berenson, Patrick Macgee, Hardy Kruger, Gay Hamilton, Godfrey Quigley, Steven Berkoff, Marie Kean, Murray Melvin, Frank Middlemass, Phillip Stone, Leon Vitali, Dominic Savage, Narrated by Michael Hordern. Synopsis: An Irish rogue wins the heart of a rich widow and assumes her dead husband’s aristocratic position in 18th-century England. What we think : Towering period epic that captures the sodden, grimy mess of mid-1700’s Europe, as well as the beauty and majesty of some of the worlds most stunning locations. 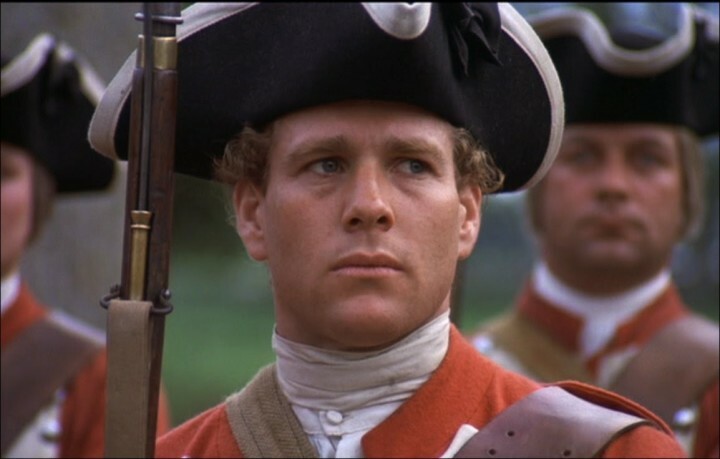 Led by Ryan O’Neal’s brilliant performance, and given visual heft by Kubrick’s stately direction (and some equally stately cinematography), Barry Lyndon’s dramatic arc cannot be overstated. I have now come to claim that satisfaction. Stanley Kubrick was on a career high when he made Barry Lyndon – his previous films, including the controversial A Clockwork Orange, had met with remarkable critical success, and so the famed director’s take on the William Makepeace Thackary novel, “The Luck of Barry Lyndon”, had a high degree of anticipation about it when released in 1975. Inevitably, even the mighty Kubrick fell on the rocks of anticipatory failure; Barry Lyndon’s reception on release was tepid, to say the least. Although more than a few critics hailed it as a creative success, it was not the financial boon Warner Bros had hoped. Lengthy, slowly paced, and considerably distant in Kubrick’s inimitable style, Barry Lyndon’s technical outreach failed to grab an audience clamoring for more commercial fare. While Kubrick would go on to direct The Shining, and achieve the commercial success the studio wanted, Barry Lyndon’s status as one of his “lesser” films persists even now: you’d have to find a dedicated film fan who would place it among Kubrick’s pedestal films, such as 2001 or The Shining, or even have seen it, for that matter. Ryan O’Neal stars as Irishman Redmond Barry, a young adventurous lad who, through both luck, misfortune and fate, comes to inherit a noble title in 1750’s Europe. After being rebuffed for affection by his cousin (Gay Hamilton), Barry joins the British army, who were fighting France in the Seven Years War, before deserting with the intent of living in a neutral country. He is captured by the Prussian army, and forced to join their ranks, under command of Captain Potzdorf (Hardy Kruger), before the end of the war brings with it a mission to spy on a local noble, Chevalier du Balibari (Patrick Macgee), whom it is believed to be an Irishman. Instead, Barry befriends the Chevalier, and through a matter of time eventually engages with his ambition to become a nobleman, a gentleman, in the service of the Irish exile. Although wealthy, his life becomes stifling, until he meets the beautiful Countess of Lyndon (Marisa Berenson), who he seduces and, at the death of her elderly husband (Frank Middlemass), marries. If there’s a word to describe Barry Lyndon, it would be “stately”. Like many Kubrick films, Barry Lyndon’s style is largely stagey, more about the technical precision than a warmth of narrative involvement. Interestingly, Barry Lyndon was filmed with cameras designed to shoot in low light – ever the perfectionist, Kubrick wanted to use the light of the period, including candles and whatnot, to convey the feel of the times, rather than traditional lighting methods cinema had employed up to that point. The result of cinematographer John Alcott’s beautiful (Oscar-winning) camerawork and lensing is a film of exquisitely gorgeous soft-focus perfection. Barry Lyndon’s ethereal, heightened-fantasy visuals are magnificent, a glorious visual language that magnifies the story of Redmond Barry’s opportunistic rise to the station he seeks. As a story, Barry Lyndon’s somewhat disjointed and journeyman narrative works a treat, based on Thackary’s text and teeming with period detail. Barry himself is something of an oafish, selfish snipe, his focus on achieving higher ranks within society at odds with the expectation of his heroic leading role. In the latter stages of the film, he’s no better than the nobles and vacuously indifferent higher class people he desires to be among, and his treatment of the Countess following their marriage feels a little out of place considering where the character has come from, and all that he’s endured. As a character, Barry is often irritatingly desolate, with the film relying on Michael Hordern’s continual narration of key events – including setting up upcoming joys and tragedies – to build the role as a sweeping, grand human journey. Still, Kubrick’s script is endowed with endless charm, even if the film’s style remains resolutely distant. Populated by a plethora of great character actors, Barry Lyndon does not want for a sense of eminence. 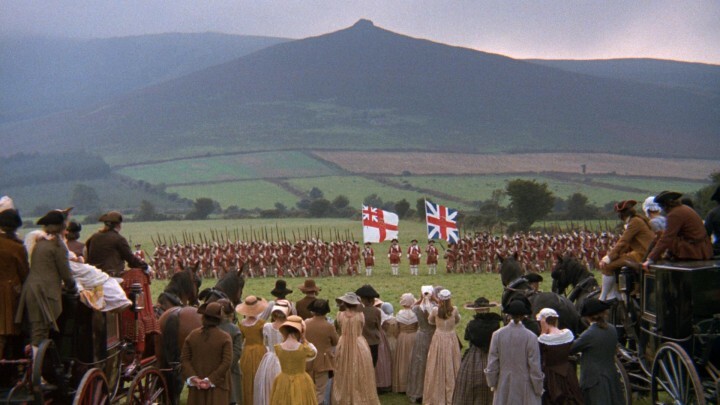 Coupled with the film’s stunning production design, shot across Ireland, England and Europe, as well as a number of stately manors and castles, Barry Lyndon’s inherent beauty is magnified by both excellent actors and terrific locations. O’Neal aside, the supporting cast are all terrific – particularly Hardy Kruger, as Captain Potzdorf, who initially harangues Barry, before eventually finding him a job as a spy. Notably, Marisa Berenson’s role of the Countess, and of Barry’s eventual wife, is terrific, while Leon Vitali’s performance as Barry’s stepson, Lord Bullingdon, is a genuine highlight of the latter half. One thing to note about Barry Lyndon’s style is that Kubrick seemed to favor a frame-pullback style: start the scene with a closeup of a character, and then pull back the frame to reveal the context in which the scene will take place. This is a constant motif in this film, a departure from the traditional styles the director had employed in his previous films, and I only really noticed it because it’s the style I used while making an amateur film once. Barry Lydon’s status within Kubrick’s oeuvre, and in the film world overall, is one that deserves reconsideration. Although causal film fans will be suitably appreciative of The Shining or even Full Metal Jacket’s thoroughly captivating energy, many will overlook Barry Lyndon’s charms as both a period drama, and a great film. This is a wrong, for Barry Lyndon is a brilliant film, a film of rare beauty, marvelous performances (particularly Ryan O’Neal, as the title character) and a level of technical achievement that remains as captivating now as it did back in 1975. It’s a film of rare artistry, a magnificent dramatic opus that warrants a more appreciative audience. 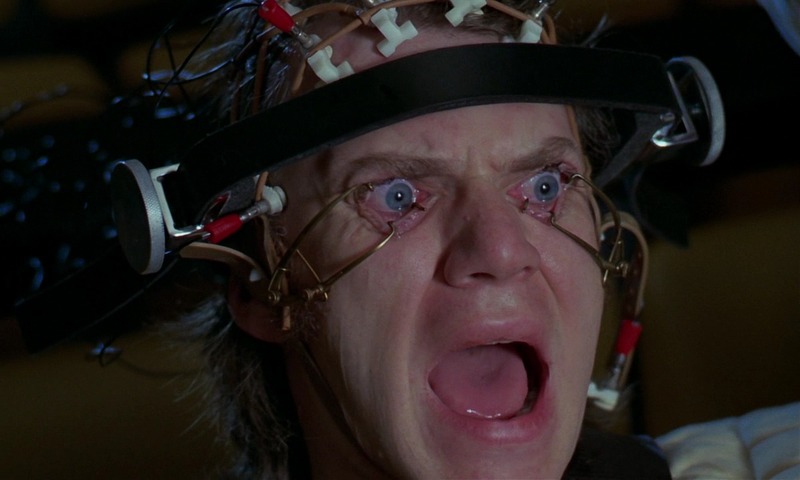 What is the definitive style of Stanley Kubrick? I'm a fan of Kubrick's but haven't seen this one because no one seems to talk about it. I'll definitely give it a try when I can seeing as how much you love it! Yeah, i have a soft spot for the journeyman kinda films, of which this is a prime example. I think it sorta falls away late, and the ending is kinda "oh, is that it?" 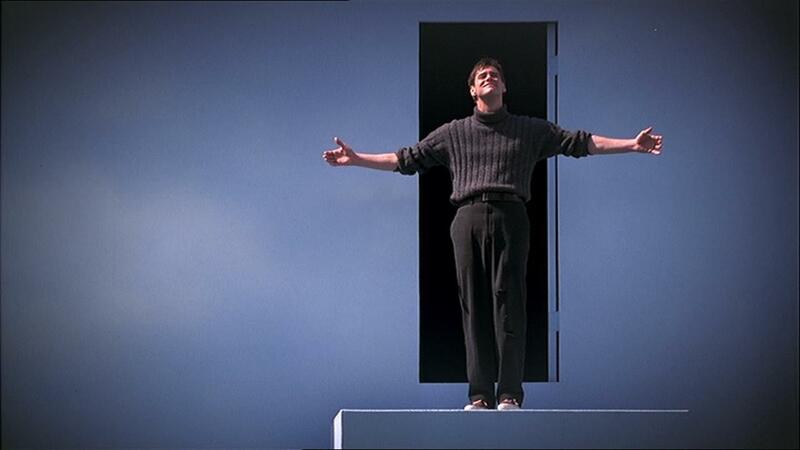 but when all is said and done it's a masterful film indeed. I think it's an underrated masterpiece by Kubrick. The narrator has an interesting role in the film and the positioning of the characters so it all looks like a portrait is heavenly. Excellent review! Thanks Cindy! Great you could stop by! I have to admit (and I didn't put this in my review, unfortunately), the Narrator almost/kinda/sorta reminded me of the great Stephen Fry, with his dulcet tones and affable, semi-omniscient way of narrating things.